It's no secret that I love to eat, and on the blog it appears that I love to eat out more than in. In real life though, I eat at home quite a bit and I do cook, albeit super simple things that can be done in a few minutes - such are the demands of modern life (or that's my excuse...). 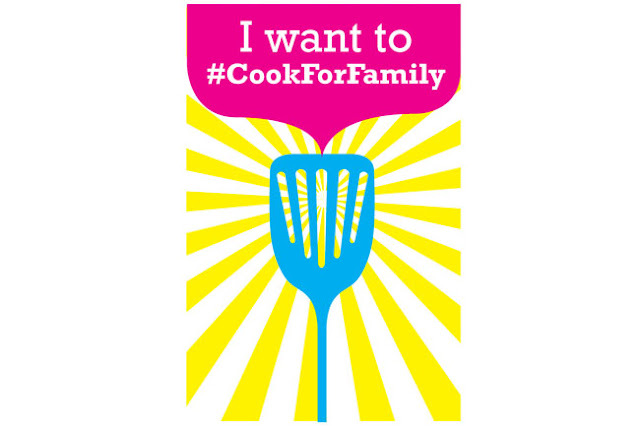 The #CookForFamily is a bloggers-for-bloggers initiative. No competition, sponsors, or hidden agenda involved. 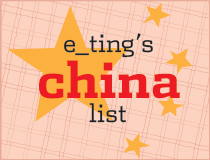 It is created with a simple objective of getting more bloggers, and hopefully their fans and followers, to start cooking and bonding with their families. You'll see that most participants are Singaporean food bloggers, but hey, food knows no boundaries, and certainly the internet doesn't. But then came the challenge of what to cook. I was surprised by Daniel's blog post about bloggers telling him that they don't have time to cook or don't know how to. So instead of conjuring up a fancy menu, I thought I'd come clean and just tell you all how lazy I can be, and hopefully communicate that it really isn't hard to cook for your family, even if cooking means getting a little help from leftovers. Diced Peking duck slices, pan-fried - duck fat rendered - keep it for another dish! Yes, leftovers. When we eat out, we often order way too much food. I hate seeing food go to waste, so I have had my fair share of doggie bags. (I remember once I was in a pretty fancy restaurant and everyone else in my party was too embarrassed to ask for the leftovers to be packed away - I went all Asian-Auntie-style on them and asked the waitstaff, no sweat. Restaurants are usually incredibly nice about it). So rather than just heating things back up the next day, I've had a bit of practice with cooking with leftovers. 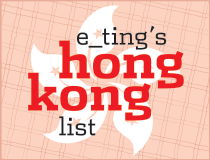 This time, it was Peking duck from a greasy old-school fave, American Restaurant in Wan Chai. (There isn't much that's "American" about this restaurant, except maybe the clientele. It's a Pekin restaurant that's been around for more than 30 years - my mom remembers going there (the old location across the street) for lunch almost every day when she got her first office job). The pictures make it pretty self explanatory, I mean, cooking with leftovers isn't meant to be rocket science, especially not if it's just a quick weekday dinner. I even made an extra "course" out of the duck carcass - duck soup, which is actually quite a traditional way of using the duck. And because there are only two of us at home, I used the rest of the large bag of vegetables I bought. (Of course you don't need to be this boring if you don't want to.) Let the duck boil for at least half an hour, then add the tofu and Chinese cabbage just until they're cooked. Lazy? Yes. Yum? Yes! And I'm still loved for cooking lazy meals. That's all that matters, right? Oh my, what a great post, Janice! Now if I only I bought back my duck carcass from Spring Deer! I LOVE cooking from leftovers -- it's such a satisfying feeling to make a new dish out of the old. Your beautiful soup looks like something my dad would make -- clear and clean, with a meaty richness. Lovely. Nice!! I'm now following you. Come take a look at my Hong Kong experience and follow back if you like.